Very nice and unconventionally written travel guide by Achim Wiegand. 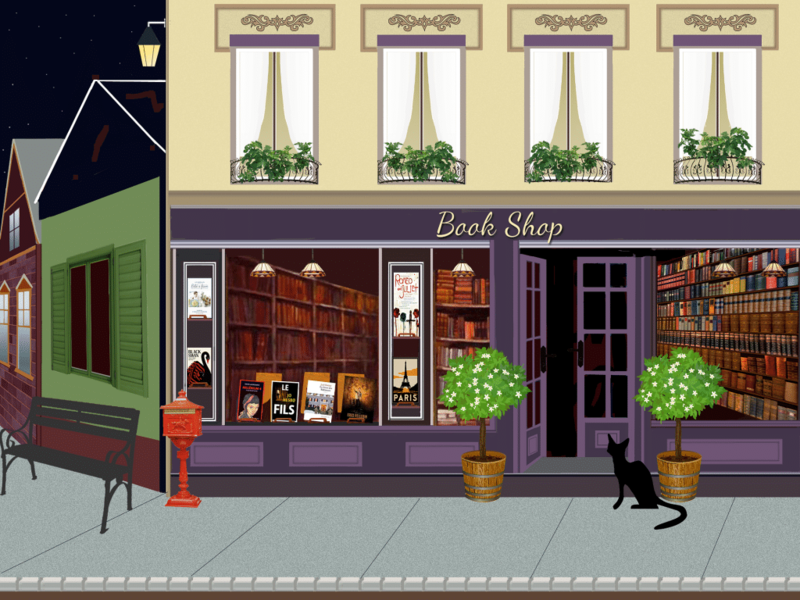 In 12 tours he shows us the city and is thus the ideal complement to my virtual city tours. New from 2017: The City-Guides appears in a completely new outfit and is thus even clearer - numerous new features (eg a chapter for the narrow purse, a children's chapter) facilitate the orientation. The prelude consists of "pilot sites" to the districts and sights, the culinary, nightlife and shopping. The tours and excursions take you to every corner of the city, with the exception of neighborhoods away from the top sights. 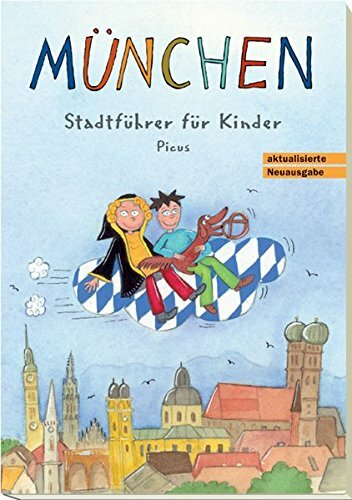 If you are looking for children-friendly tours through Munich, I can only warmly recommend the "city guide for children". Tailored to the understanding and interests of children between the ages of eight and twelve, the author takes six varied walks to see the city's main attractions. 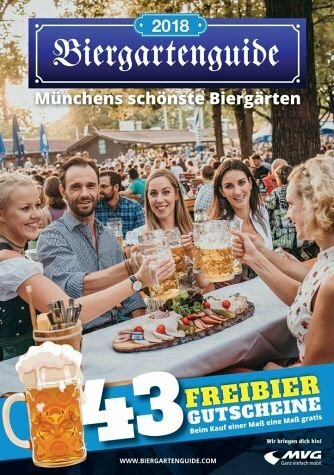 As an ideal stimulus for foreign as well as local children and their adult companions are not only concrete Gehrouten including maps, references to public transport and opening hours, but also a lot of tips for things that make fun in and around Munich. The description of interesting sights for children is interrupted by fun riddles and blocks of activity. This makes the book easy to read on the road as well as at home. I can not do it better than the author describes it. 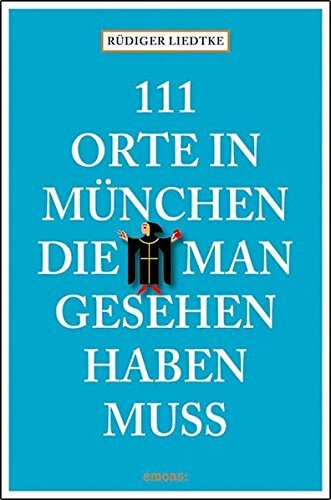 A must for every visitor to Munich. Did you know that Thomas Mann's brown bear is within your reach in Munich? that there is a second zoo next to Hellabrunn in Munich? Have you ever had hallucinations in Fröttmaning? Not always is the Navi in ​​the smartphone the tool of choice. Especially when exploring the city, the good old road map is far from over. That's why the National Geographic Explorer city map is a bestseller on Amazon for nothing. Thanks to the unique folding technique, each page is a map and travel guide in one. Just open, unfold, discover. Due to the handy format fits the EXPLORER in every pocket. Previously, the gardens helped with their shady chestnut trees cooling the underlying beer cellar. At some point, the brewers then won the right to serve their beer there as well. The condition was, however, that the visitors were allowed to bring their own food. This beautiful custom has remained until today and although there is plenty to eat in all beer garden, many bring their own food Munich. In summer, there are hardly any nicer places than Munich's beer gardens. 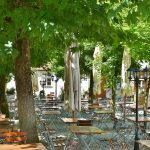 In this beer garden guide you will find the adults and acquaintances as well as the hidden beautiful beer gardens. Where is the best food available? Where do the Munich go? Where is the flirting most? Beer vouchers for all beer gardens! For every beer garden in the book you will find an 2-for-1 voucher! 2020 aims for a share of 20%. This is made possible by the fact that the bicycle is promoted as a means of transport by the city of Munich to a special degree. 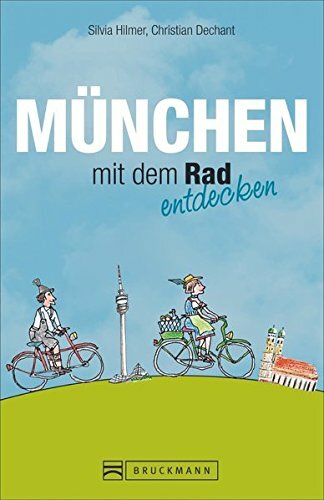 Munich is the number one in Germany with current (2017) 60 designated bicycle routes. 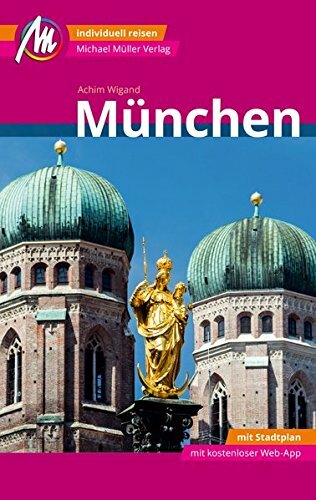 And with this guide, Munich is really easy to discover by bike. The 11 tours will be presented by me individually in the Radl tour suggestions by video. 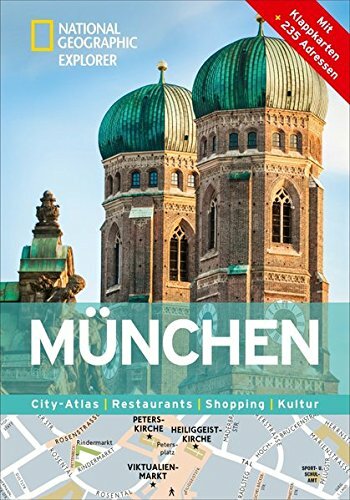 The travel guide is in cooperation with lane change originated, the most famous bicycle rental in Munich. 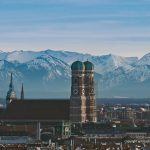 What could be more natural than rounding off your visit to Munich with a trip to the nearby mountains? If only because the often tormenting traffic jams just on the weekends the joy could severely cloud. Luckily our "local mountains" are best reached by bus and train. Nice, that the stress-free approach with this hiking guide is in the foreground. 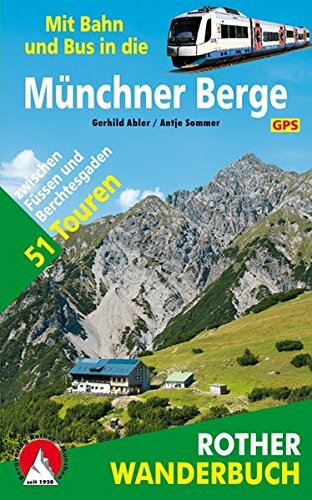 In addition to all the important information on the hikes, the book also contains the exact details of the train and bus lines leading from Munich to the respective starting point, including the departure times at Munich Main Station and the connections for the return journey. Exact route descriptions, hiking maps with marked route, meaningful altitude profiles and GPS data for download facilitate the tour. Practical is also the summary table of all walks on the flap.